A new "brick home" these days is almost never a house with solid brick walls. It is much more likely to have conventional wood-framed walls that are covered with brick veneer, or brick siding. There are many advantages to using brick siding instead of solid brick. Framed walls can be built much more quickly than brick, and their framing cavities can be insulated for better energy performance. At the same time, brick siding provides the same low maintenance and weather-resistance as solid brick as well as brick's distinctive look of quality and craftsmanship. Above all, building framed wall with brick siding is much less expensive than solid-brick construction. There are two broad categories of brick veneer. Traditional brick siding consists of full-size bricks that are laid with mortar and tied to the framed wall with anchor ties. The bricks are laid in similar patterns to those used for solid brick construction, so it has a similar structural look. However, brick siding is merely a single layer and does not provide any structural support for the wall. The other category of brick veneer is often called thin brick or brick tile. This consists of very thin clay or concrete-like brick pieces that are only about 5/8 to 3/4 inch thick, making them more like ceramic tile than like building brick. Thin brick siding also installs like ceramic tile: It is glued to the wall surface with adhesive or thinset mortar. After all the brick is in place, the installer goes back and fills in the spaces between the bricks with mortar or grout to simulate real mortar joints. Brick veneer made with full-size brick is laid on top of a ledge built into the concrete foundation walls or concrete footings. The base of the wall must be flashed to prevent moisture from getting behind the brick. The framed wall behind the brick is covered with special sheathing or insulation or with standard plywood sheathing and building paper. Typically, there is a 1-inch air gap between the framed wall and the brick veneer. As the first course a brick is laid, weep holes are created above the metal flashing. These allow water to escape from the wall and typically are installed between 18 and 24 inches apart. 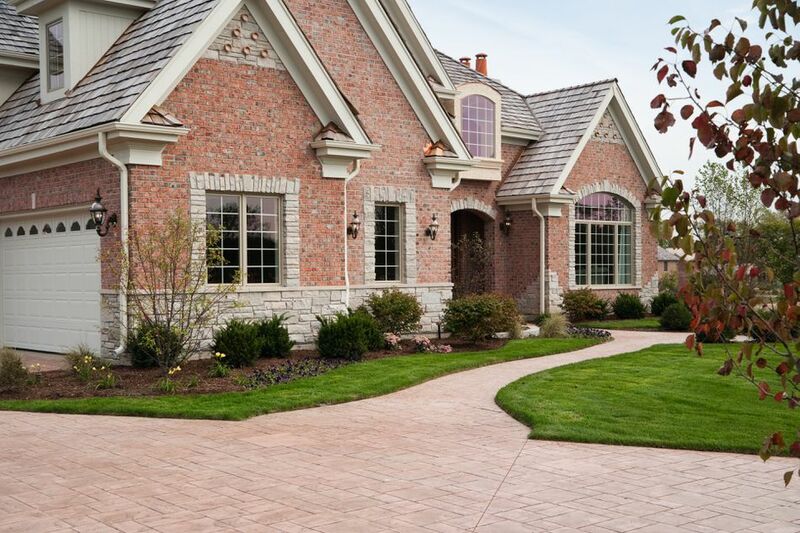 The brick can be laid in a variety of traditional patterns, such as running bond, common bond, stacked bond, etc. Mortar is applied to each brick to create the mortar joints, and the joints are tooled periodically to give them a finished shape and properly seal them for weather-resistance. The residual mortar is removed by scrubbing the wall surface with a brush. As the veneer goes up, the brick structure is anchored to the sheathing with metal wall ties, or brick anchors. These are commonly L-shaped pieces of corrugated metal nailed through the sheathing and into the wall studs. Anchors are installed every four courses and spaced every 2 feet apart horizontally.